If you're buying a home that needs a little TLC, a typical fixed-rate mortgage isn't going to help you pay for repairs. Your lender isn't going to approve a $300,000 loan to buy a home that's only worth $250,000. And, while homeowners sometimes use home equity loans to remodel, you can't get a home equity loan when you have no equity. This can be a big obstacle for buyers who don't have extra cash to make needed renovations or repairs before moving in. 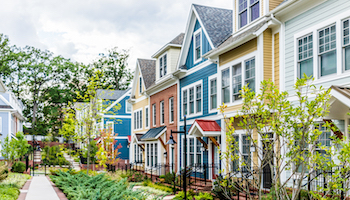 But there are two loan programs that can make your dream of rehabbing a fixer-upper a reality: the Federal Housing Administration's 203(k) mortgage and Fannie Mae's HomeStyle Renovation mortgage. The programs achieve the same goal — providing homeowners with a mortgage and access to money to make necessary improvements — but come with different requirements and best serve different types of buyers. This type of financing is ideal for borrowers who either have little money for a down payment or who have an average or slightly below-average credit score, says Bruce Ailion, a broker with RE/MAX Town and Country serving greater Atlanta. The FHA requires a credit score of at least 580 if you want to make the minimum down payment; if you have 10% down, your score can be as low as 500. Lenders may have higher requirements. The two different types of 203(k) mortgages got new names in 2015. Formerly called the regular or full 203(k) and the streamline 203(k), they're now called the standard 203(k) and the limited 203(k). The standard 203(k) loan is for almost any kind of repair or improvement — even the reconstruction of a demolished home, as long as the original foundation remains. Any home more than 1 year old is eligible for a 203(k) loan. Repairs must cost at least $5,000, and homeowners must hire a 203(k) consultant, who, for a fee of a few hundred dollars, determines whether the project is financially feasible, inspects the property, prepares or contracts out architectural exhibits and oversees the work. You can borrow more than the home is worth, as long as the repairs will increase its appraised value. The most you can borrow is 110% of what an appraiser estimates it will be worth after renovations, or the cost of the home plus the estimated renovation cost, whichever is less, minus your down payment. The minimum down payment on an FHA loan is 3.5%. The maximum also must fall below the FHA mortgage limit for the area — $314,827 for single-family homes in most parts of the country and up to $726,525 in high-cost areas. Permit foundation repairs. The old rules required a home's original foundation remain untouched. RATE SEARCH: Find a great mortgage rate. The limited 203(k) mortgage is for minor remodeling projects that don't require structural modifications such as adding rooms. Windows, doors and exterior siding. It can also be used to remodel your kitchen and get new appliances, to finish your basement, to paint your home and to add insulation and weather-stripping, among many other possibilities. You can borrow the purchase price plus up to $35,000 for repairs, improvements and upgrades. There is no minimum repair amount. All the usual FHA requirements apply to these loans. You can find an FHA 203(k) lender by going to the Department of Housing and Urban Development's online search tool and checking the 203(k) box at the bottom of the page. The main problem with the 203(k) loan is the cost of the mortgage insurance, says Joe Parsons, senior loan officer with PFS Funding in Dublin, California, and author of The Mortgage Insider blog. You'll pay up-front mortgage insurance of 1.75% of the loan amount and 0.85% annually on the principal balance for the life of the loan. "The insurance cannot be removed, even when there is more equity in the property," Parsons says. You can drop private mortgage insurance on a conventional loan when equity in the home reaches 20%. This type of financing requires a down payment of just 5% if you're buying a single-family home with a fixed-rate mortgage. With a down payment of less than 25%, you'll need a credit score of at least 680. If your debt-to-income ratio is higher than 36% but less than or equal to 45%, your credit score needs to be 700 or higher. You'll have 12 months to complete the work, and there's no minimum amount you must devote to repairs. You can use the money for repairs, remodeling, renovations or energy improvements. The only restriction is that the changes must be permanently affixed to the property and add value. The lender will oversee the renovations to make sure they get completed. The lender will need copies of your plans and specifications as well as your renovation contract. An appraiser’s estimate of the market value after improvements. The purchase price plus renovation costs, or "cost basis" value of the home. Renovation costs include not just labor and materials but also property inspection, architectural and engineering, and permit and licensing fees, plus an optional 10% contingency reserve. With a HomeStyle loan, the total cost of the work can be as much as 50% of what the property is expected to appraise for once the work is complete, but the mortgage amount still must fall within the above guidelines. Suppose you want to purchase a home that costs $190,000. The appraiser looks at your plans, scope of work and comps, and determines the property's after-renovation value to be $250,000. Fannie Mae says you can borrow up to 50% of that, or $125,000, for repairs. The purchase price of $190,000 plus $125,000 for repairs, equals $315,000. Subtract your 5% down payment, and you can theoretically borrow $299,250. However, in this case, the cost basis of $315,000 is higher than the after-renovation value of $250,000, and you can only borrow based on the lower of the two. So with 5% down, the most you could borrow would be $237,500. Subtracting the $190,000 purchase price, you'd need to limit your repair costs to $47,500. HomeStyle loans are also subject to the usual conventional mortgage limits, which are $484,350 for one-unit, single-family homes in most areas, up to $726,525 in high-cost areas in the continental United States and $726,525 in parts of Alaska, Guam, Hawaii and the U.S. Virgin Islands. With less than 20% down, you'll also have to pay private mortgage insurance or PMI, which is based on the as-completed value, not the purchase price. 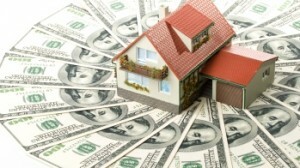 One final advantage is that HomeStyle loans are available to investors with a 15% down payment. Investors cannot take out 203(k) mortgages. Investors will often max out multiple credit cards or take out hard money loans, both with double-digit interest rates, to finance flips. The HomeStyle loan offers a cheaper alternative. Fannie Mae does not offer a publicly available search tool to find a HomeStyle renovation lender, so you'll have to do a Google search, contact lenders in your area or get a referral from a local real estate agent. Before the appraisal, you'll need to draw up a budget based on contractors' estimates for your proposed scope of work. The appraiser will use this information to estimate an after-improved value for the home you want to buy, which determines how much you can borrow. You'll be able to choose your own contractor, but the lender will have to approve it, so pick someone who is qualified, licensed and bonded. HomeStyle and 203(k) loans allow for the possibility of some DIY work, but you can't borrow money to pay yourself for your labor. 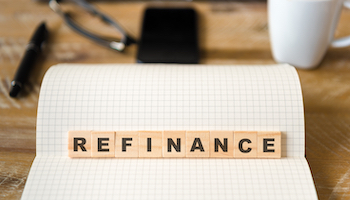 Interest rates for renovation loans are usually one-eighth to one-quarter of a percentage point higher than they are for a conventional mortgage because these loans are riskier for the lender. Both loans let you skip up to six monthly payments if you can't occupy the home during renovations, with the interest for those months added to the principal of the loan.